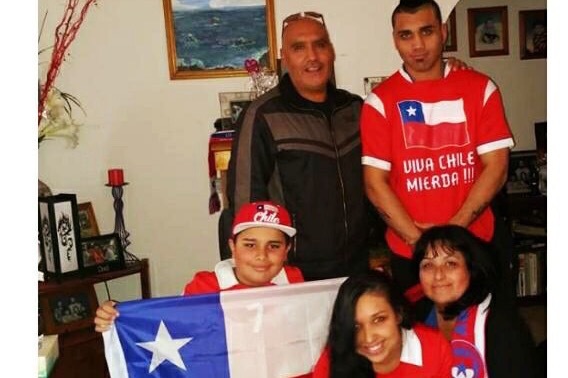 Maria and her family travelled to Chile for a family vacation. 3 days after arriving she had fallen very sick. not knowing she was then diagnosed at the clinic with pre chronic leukemia. She has now been placed within the critical part of intensive care and is trying to fight off an infection going on in her body affecting her heart and lungs. she cant breath on her own and is still unfit to travel back to Sydney. We have started this page to support our co-worker and friend Patricia (Daughter of Maria) in hopes to raise funds to help Maria and her family to help with flight and medical expense in this time of need. Patricia had to fly back from chile to Sydney to mange the family household and bills. Her and her brothers and are now flying back over to chile to be with her. Any amount donated would be greatly appreciated. We ask that you please keep Maria and her family and other families who are going through the same thing and fighting cancer in your prayers. "Father God, we humbly pray for all those who are fighting cancer. Give them the hope and courage they need each day. Comfort them in their pain and bless them with healing. Strengthen their family, friends, and caregivers. In Jesus’ name, Amen"
Doctors have gotten the infection out from the heart and lungs. They are currently monitoring her still in intensive care to give her the all clear. She is still on a breathing machine to assist her. She is awake and can now hear and understand everything but is still unable to talk. She also is still unable to move any parts of her body except her head. They are now waiting for results to see were the bacteria infection is coming from. Family are taking day-by-day and keeping positive for the rest of her recovery. Thank you to all who have donated and everyone that has kept the family in their thoughts. They appreciate everything that we have done and all the money that has been raised thus far. A Special thank you to all involved Rhi, Jessica, Tiffany, Kate, Kristy and Danny who helped organise the BBQ event.